Cairo is a graphic contemporary lighting collection of pendants, spotlights and table lamp, inspired by the influential Constructivist aesthetic. 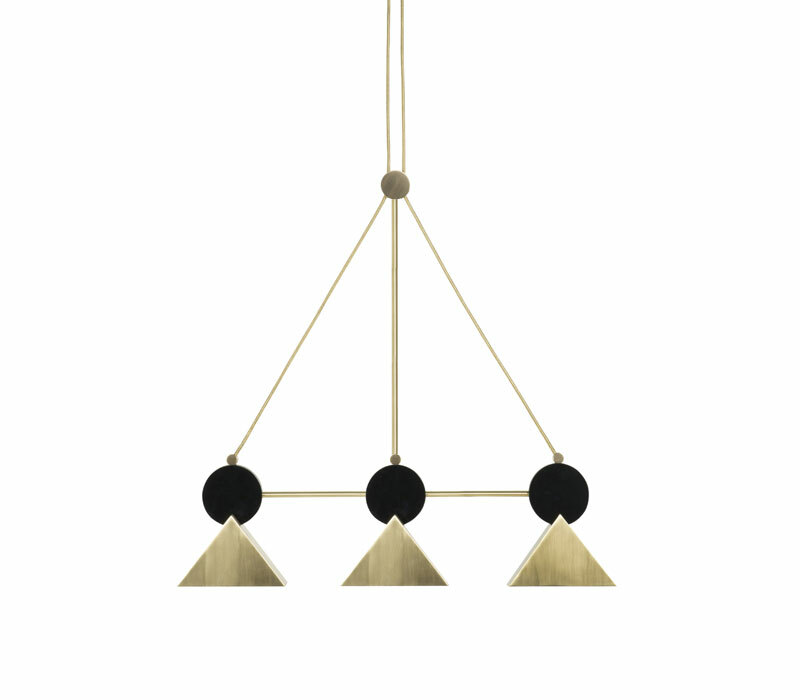 The Cairo Triple Pendant explores spatial geometric abstraction, with its combination of pattened pyramid and disc forms, playing with perspective and visual planes. 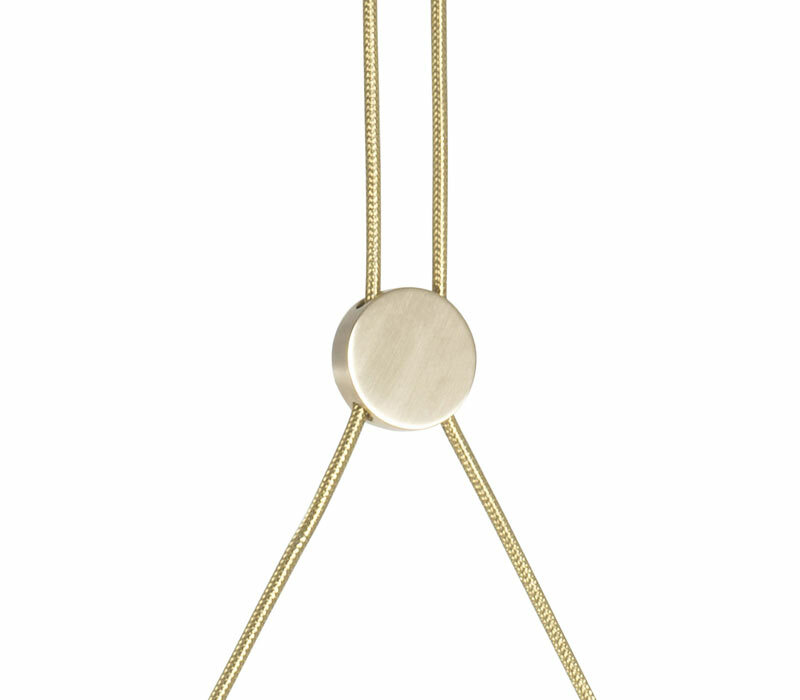 Drama is created by the radical balancing and piercing of the bold triangular and circular shapes, suspended in space by woven brass cable to create another airy triangle. 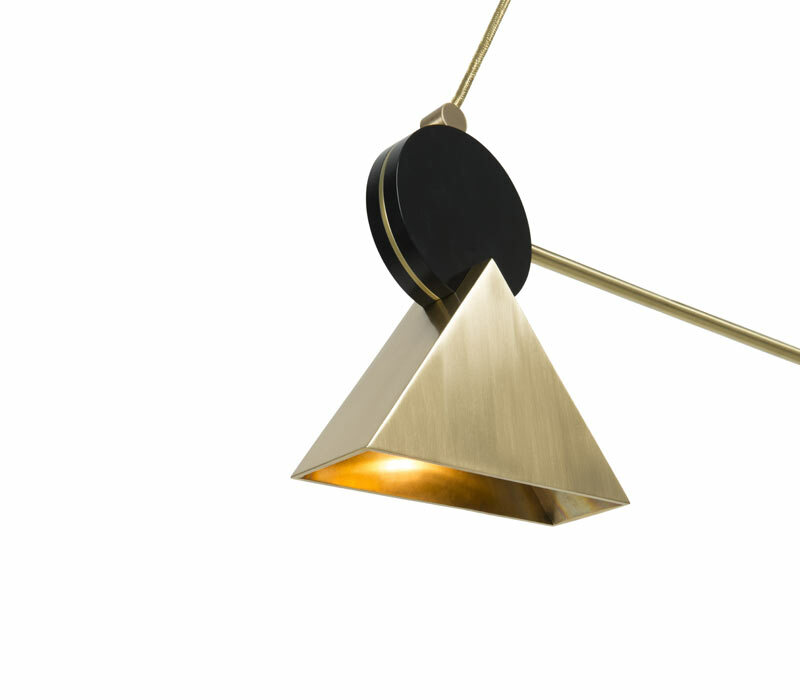 A geometric jewel like piece designed to hang over dining tables, work counters, or as a focal light point. Handmade to order at our Sussex workshop available in our finishes range. Finishes: Available in satin brass & black or white, polished brass & black or white.